As you can see in the image below, the lighting is totally wrong, and I don't understand why, is this an engine issue, or do I have to change some settings to get it to line up properly, this is all in the third person default project, and yes I have tried remaking the project and even looked at the other templates, and they have the same issue. 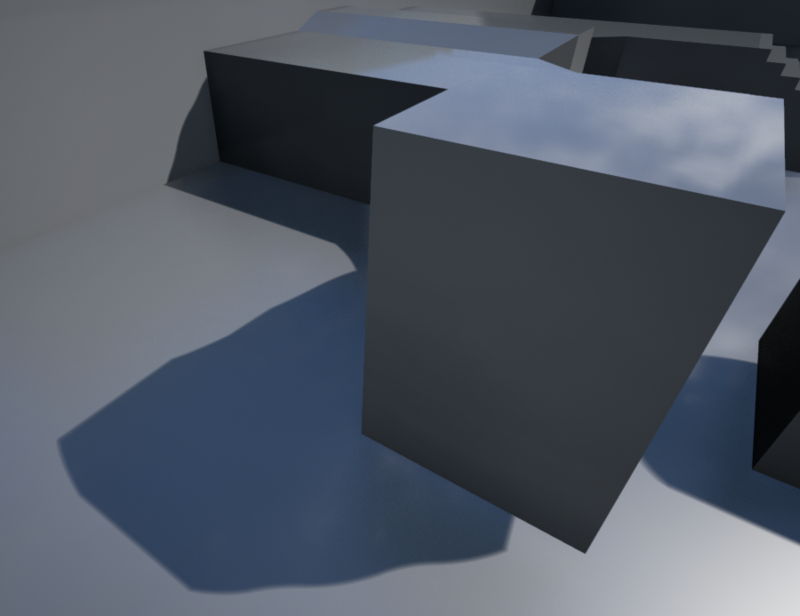 You need to increase the lightmap resolution of the surface. Increase the value if it is a static mesh, decrease if it's a BSP to get higher resolution. Cool, thanks for that It was driving me mad, would you happen to know why you have to lower the res for BSP yet increase it for static meshes? It seems that on BSP the number you are entering is how many pixels there are per X and Y world units. So at 1, there will be 1 pixel every 1 unit. At 64 there will be one every 64 units etc. With a static mesh you are setting the total lightmap size of the entire mesh. I agree it is kind of confusing but has to do with the nature of BSP having no unwrapped UVs and having better support for scaling of BSP sizes etc.